For the past decade, Audio Affair has helped a wide range of large and small businesses to find all their specific AV needs. 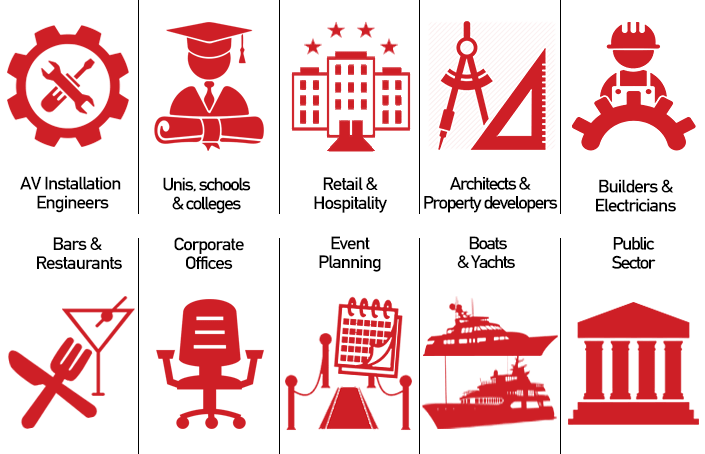 We cater for hospitality, retail, education, construction, installation, engineering and architectural firms among many others. Not only do you get access to our fantastic range of products, but you also have the support of our outstanding customer service team and quick turnaround on orders with free next day UK delivery on in stock items. We offer special business pricing on most items we sell, from budget and mid-market install kits right upto high end gear like Tannoy Prestige for hotels and other venues. We can also assist the design of any system, big or small. Our B2B Sales Manager Joe has extensive experience with home integration and developing AV/HI-FI solutions. We pride ourselves on our extensive experience of working with various-sized businesses from freelance technicians, Installation, property developers and MSI companies, electrical wholesalers to larger hotels, student accomodation providers and restaurant chains. Our customers benefit from our flexibility to supply items in bulk or deliver to multiple addresses at a low cost. We’ll ensure your business makes an impact from corporate offices to conference rooms, lecture halls and everything in between. We'll assist in kitting out a boardroom with AV kit or help get you fully set up in new premises. Are you are looking for speakers, hifi sources and amplifiers, headphones, radios, multiroom systems or projectors gear to equip your hotel, bar or restaurant, initiate a staff incentive scheme or find great gifts for clients, our dedicated staff work closely with you to find a perfect fit for your business. We always aim to deliver the best value, quality and support. Our commitment to your long-term growth, not the hard sell, assures that we will see your project right through to the end with a focus on finding the best-suited products to your individual budget and infrastructure. 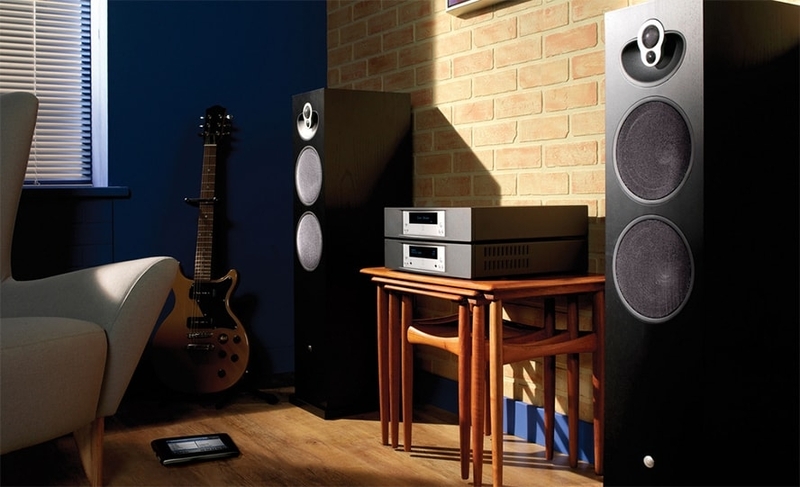 We don’t expect you to know the ins and outs of the cables or custom-install speakers or other components you need. We’ll lend our expertise to sourcing market leading reliable products from highly-acclaimed brands, sure to exceed the performance you’d expect from your budget. To make the process as easy and convenient as possible for you, our friendly and experienced B2B AV team are available by phone (Mon-Sat between 9am-5pm). Whether you want to discuss your requirements in depth, check the status of an order or find the answer to a niggling question, you’ll know help is just one phone call away. We’ll give you a same-day quote and guide you through the elements of your equipment. 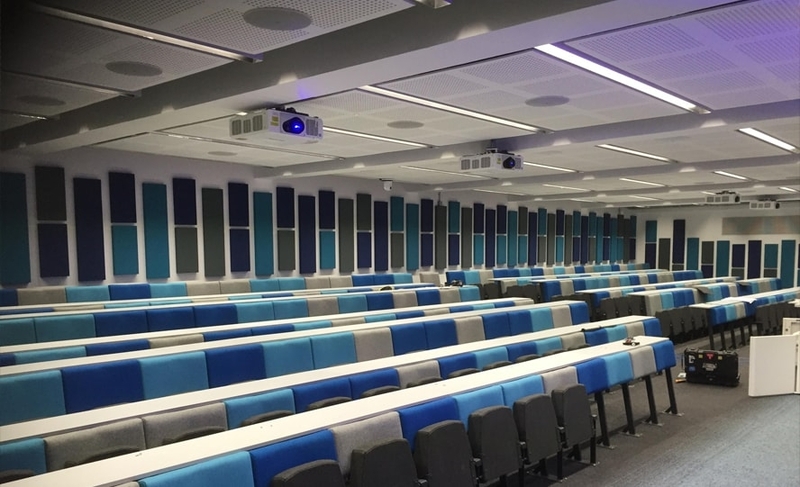 With broad experience in sourcing, distributing and fitting AV systems for big or small environments, we're able to configure a system to your precise needs that is ideal for your business. Demonstration facilities are available in our West Midlands based store so you can try before you buy. Bring your own music or even your own units to test alongside or take advantage of the vast music library available in store. We aim to facilitate drop-in requests but strongly recommend booking an appointment to avoid disappointment.